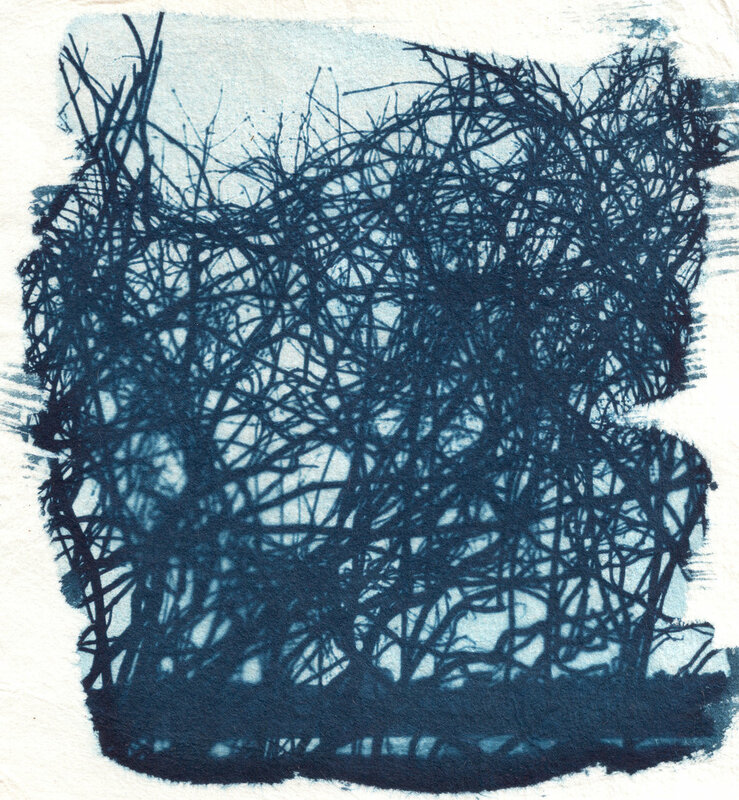 This workshop is an introduction to the alternative photographic process of Cyanotype. In this session, we will discuss different methods for creating a contact print and the versatility of working with Cyanotype. You will be able to choose from a variety of pre-coated papers to create and develop your own prints. All supplies will be provided, but feel free to bring objects or leaves/flowers with interesting silhouettes to use in your print. Keep in mind that the flatter the object, the clearer the resulting image will be. Emily Rodrigues is a native Rhode Islander who now resides in the Berkshire Mountains of Massachusetts. She obtained her BFA from Rhode Island School of Design in 2009. Although her degree is in glass, she enjoys working in a variety of mediums from photography to woodworking. Recently her focus has been on making memorial jewelry by melting the ashes of pets or loved ones who have passed away into glass beads. She is very passionate about creating these keepsakes and helping people keep a physical reminder of the ones they have lost. Rusty Clanton with Riley Moore Live!